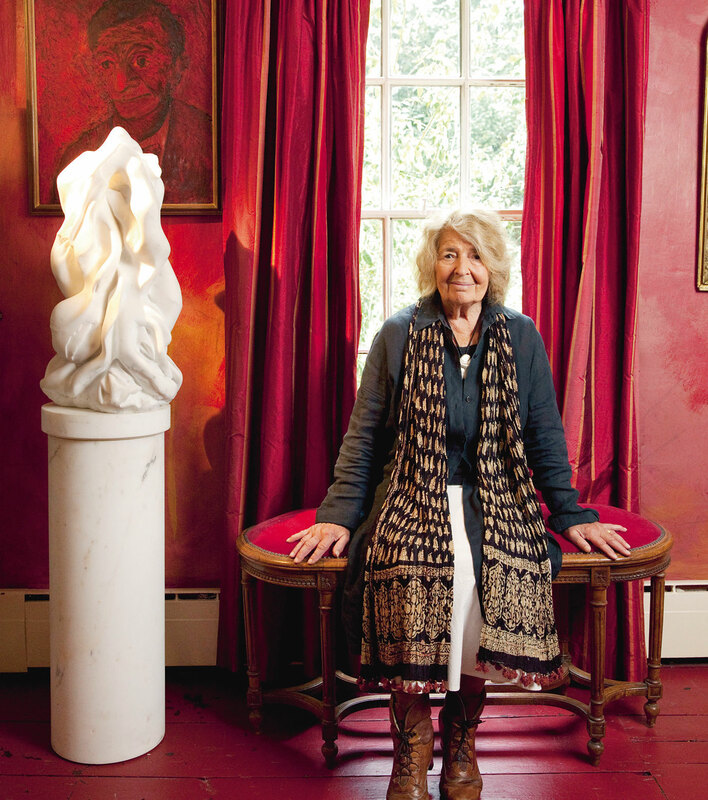 The TV producer and coach Remy Blumenfeld reﬂects on his sculptor mother. In Hollywood, they say that you should never work with children or animals. 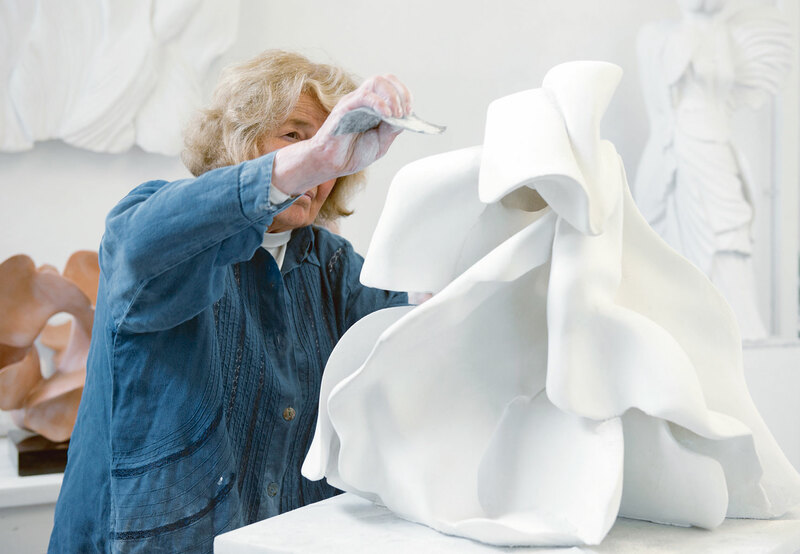 As a producer, I was fairly conﬁ dent that to that list you could also add “never work with your mother.” But I’ve recently completed an hour-long ﬁ lm about my mother, the sculptor Helaine Blumenfeld, and both of us feel it has brought us closer together. 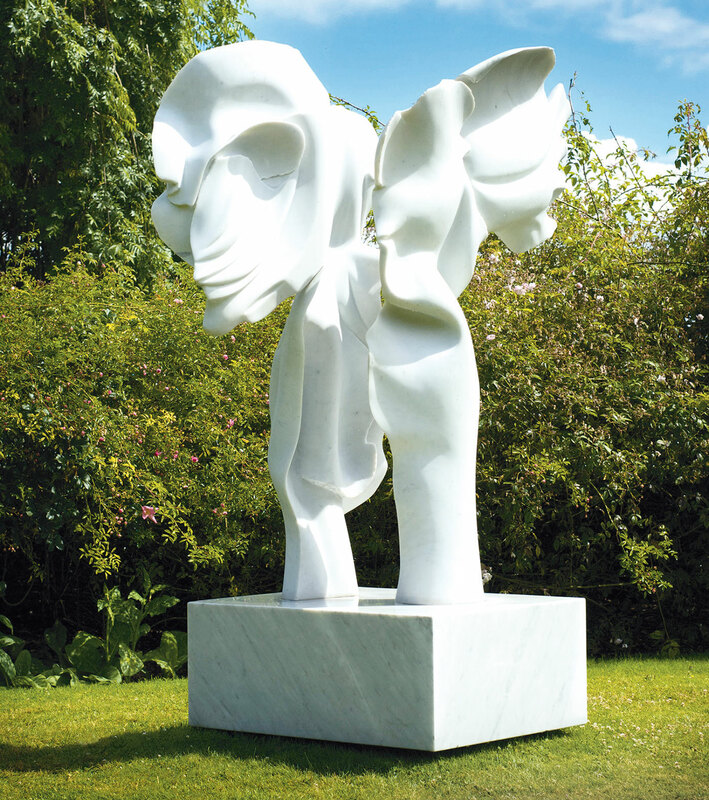 My mother is one of the most accomplished and respected figures working in sculpture today. 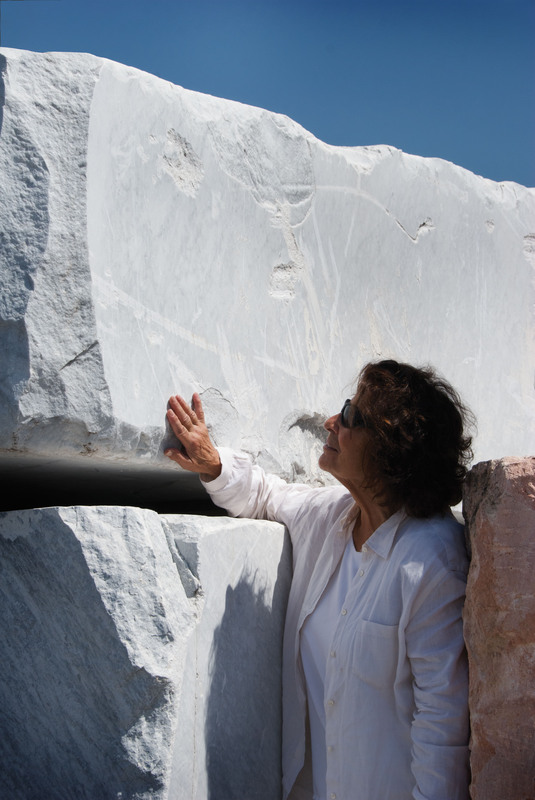 Now in her seventies, she has developed a practice inspired by Cycladic sculpture and Futurism, creating a sculptural vocabulary that is entirely her own. 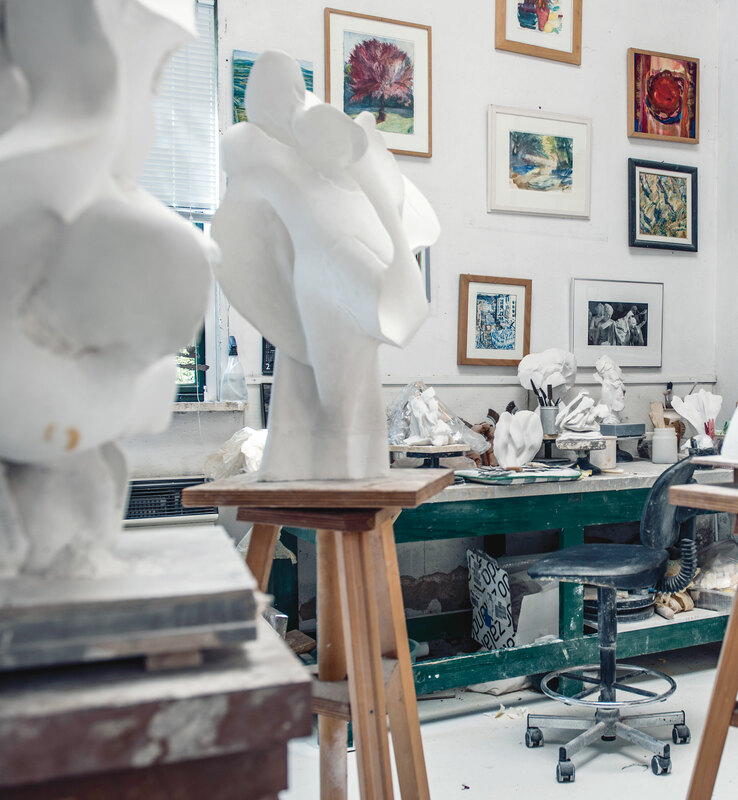 Excelling in a male-dominated ﬁ eld, she has exhibited alongside Henry Moore at the Alex Rosenberg Gallery in New York in 1985 and became the first female sculptor to win the international sculpture prize ‘Premio Pietrasanta e la Versilia nel Mondo’ in 2007. 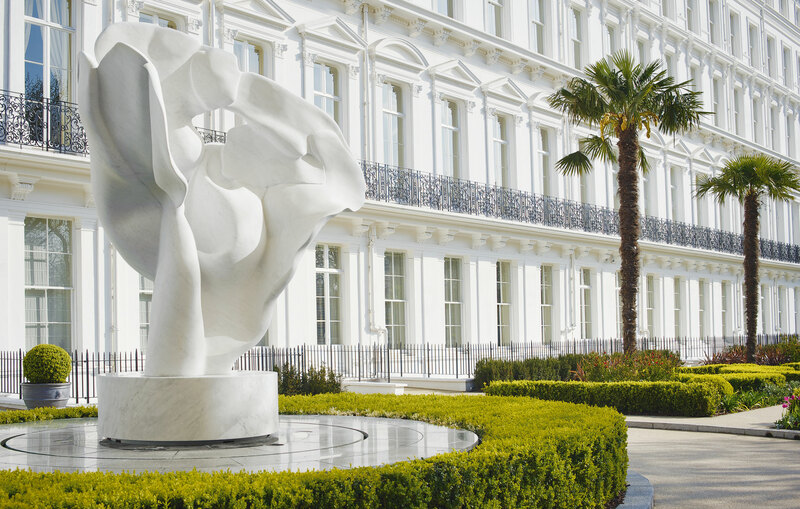 She is perhaps best known for her monumental public commissions, and is passionate about bringing sculpture into the public domain, creating works that have become integral to the cultural landscape in the UK. 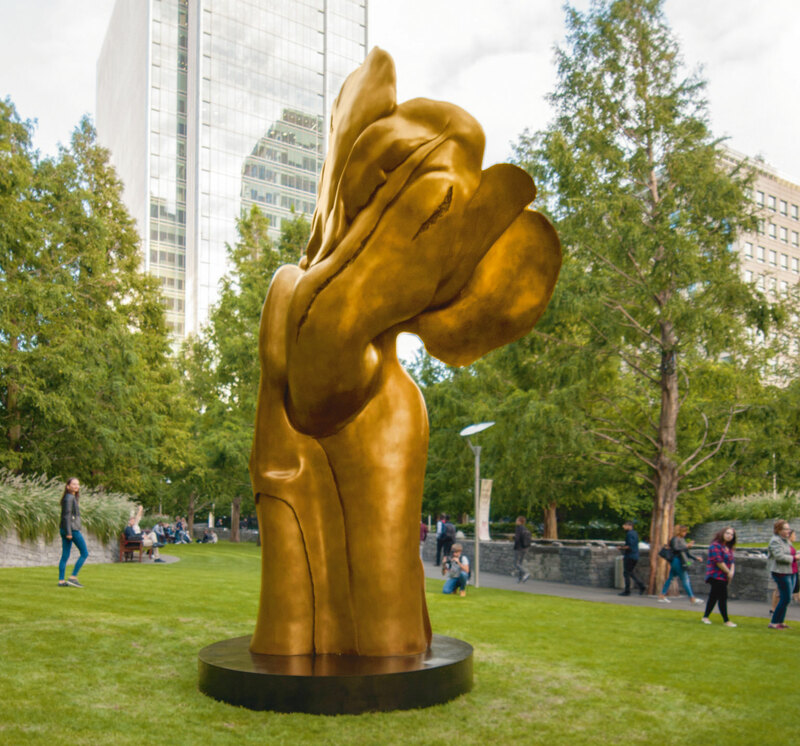 Most notably, Fortuna at Jubilee Park in Canary Wharf; Tempesta, overlooking Hyde Park in London, installed in 2012, as well as the recently unveiled marble Tree of Life at the Wolf Institute in Cambridge. My mother’s pieces represent some of the definitive examples of public sculpture in the U.K.
I’m very proud of who she is and what she does. But it hasn’t always been easy for me or my brother, Jared (a leading environmental activist who was appointed by President Obama to lead the EPA for district 9) to have such a dynamic and demanding mother. As a boy, my parents moved around a lot. I was born in Paris and by the time I was six, we’d also lived in Vienna and New York. When my parents eventually settled in the village of Grantchester in Cambridge, England, I just wanted to fit in. As if it wasn’t hard enough to feel different because I was Jewish and gay, long before I had a word for it. I also had this incredibly eccentric mother. The flamboyant clothes and jewellery she wore were a huge embarrassment to me growing up. Maybe other people thought she looked wonderfully chic, but to me she just looked like a crazy gypsy. She’d wear colourful smock dresses and her hair was always a shock. How could I know as a child that the gigantic pieces of jewellery she made and wore would one day be on permanent exhibition, next to Alexander Calder and Elizabeth Frink, in the Victoria and Albert Museum. Helaine lived, and still does live, a parallel existence between England and Italy, where she sculpts. In England she’s Helaine. In Italy she’s Elena. She always managed to be way more eccentric than any of the other mothers. At my friends’ houses I ate sausages and beans on toast; when my friends came to mine, we ate my mother’s Moroccan tagines and Tepanyaki prepared by Fukoko, our Japanese au pair. Back then I thought: “Why can’t my mother just be a bit more normal?” I’m sure she tried, but she was never quite normal enough for me. As a child, I felt my mother’s work was a force in her life equal to or greater than motherhood. I never hated the work, but I deeply resented the time she spent doing it. My mother tells the story of how she was working on a big clay piece one day and I came in, took one of her metal sculpture tools, and attacked the model. Apparently I said: “Mommy, I was talking to you and you didn’t even know I came in the room.” I don’t remember this story, but I’m sure it’s true. By the time I was eight, my mother was spending two weeks at home and two weeks working in Pietrasanta. When I was ill she’d say: “If you don’t want me to go to Italy tomorrow, I won’t go.” And I’d say: “No, you must go because it’s important to you.” What I meant was: “Stay.” But she always went. Then, because I loved my mother so desperately, my anger and resentment was directed at my father. Work is my mother’s life, and it has always been an entirely fluid thing. She would give me a collage for my birthday and my father would write me a story. There weren’t any of the normal boundaries. And those boundaries are something my brother and I have been keen to construct in our lives because our childhood felt so chaotic. There was no sense of routine: work, leisure and family were all wound into one. I don’t remember holidays – my parents didn’t take them. I understand it now. Part of her mind is permanently occupied with the forms she’s working on and needs to be engaged with. They say all men either want to be their mother, marry their mother or kill their mother and I suppose I move between all three. Most of those things which were challenging about my mother as an adolescent are the very things I celebrate now. Today my mother and father, the writer Yorick Blumenfeld, live between Cambridge and Pietrasanta in Italy. I see them a lot and speak to them nearly every day. I’m often surprised by how similar to Helaine I am and how my values are so aligned with those of my parents. My friends’ parents would rush round buying them things and doing things with them, taking them to games or the cinema. But that wasn’t my mother. We didn’t go to the park or zoo. I just remember many long conversations and letters. Growing up, when Helaine was at home, she was completely present and she’d want to know everything. It was a very intense experience, and it still is. When I came down for breakfast my mother would say, “Tell me about your dreams,” and I grew up thinking that was entirely normal. My mother and father didn’t expect us to be happy. They were more concerned with us being fulfilled, or learning. If we were sad or angry, that was fine too. If I was upset that a friend hadn’t invited me to his birthday party, instead of saying “poor darling” or “well, don’t invite him to your party,” my mother would ask: “What kind of a friend do you want to be?” I realise now that these were important early lessons in emotional agility. Until I was about 11 years old, my relationship with my mother was wonderful, and from aged 30 onwards it has been wonderful again, but the time in between was about me trying to create some distance. Both my parents were so creative and with values that essentially were aligned to mine, so there was never really anything to rebel against. I suppose my being gay felt like a kind of rebellion, because there were no gay people who I knew of in my parents’ lives. I didn’t “come out” to my parents until I was 21. I thought they already knew, but maybe they didn’t want to know. My mother says she always understood I was gay without asking. By the time I was eight or nine she says she had a sense of it, but it never disturbed her because she sees sexuality as a continuum. In many ways, my Jewish-American-Italian experience was very similar to the family life depicted in the Luca Guadagnino’s movie Call Me By Your Name, an adaptation of André Aciman’s novel by James Ivory that got him an Oscar at the 90th Academy awards in March. I do think at times growing up my mother may have overestimated my ability to deal with her. She used to write me long letters from Italy describing her complex feelings and emotions until I complained that it was overwhelming and I couldn’t handle it. These days, as well as producing TV and mentoring creative people in the TV sector, I also support entrepreneurs and creative leaders as a life coach with 1000months.org and the training I’ve gone through as a counsellor and coach, has inevitably also helped me manage my own relationships, including my relationship with my mother. 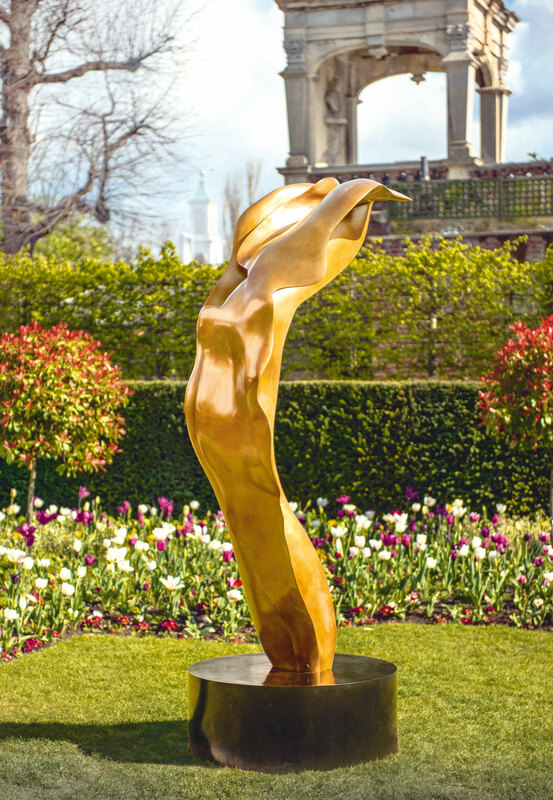 I certainly felt emotionally ready to take on the challenge of producing the film Hard Beauty: Helaine Blumenfeld, which is currently airing on SKY Arts in the UK and is being distributed globally by TVF International under the title Sculpting Dreams. 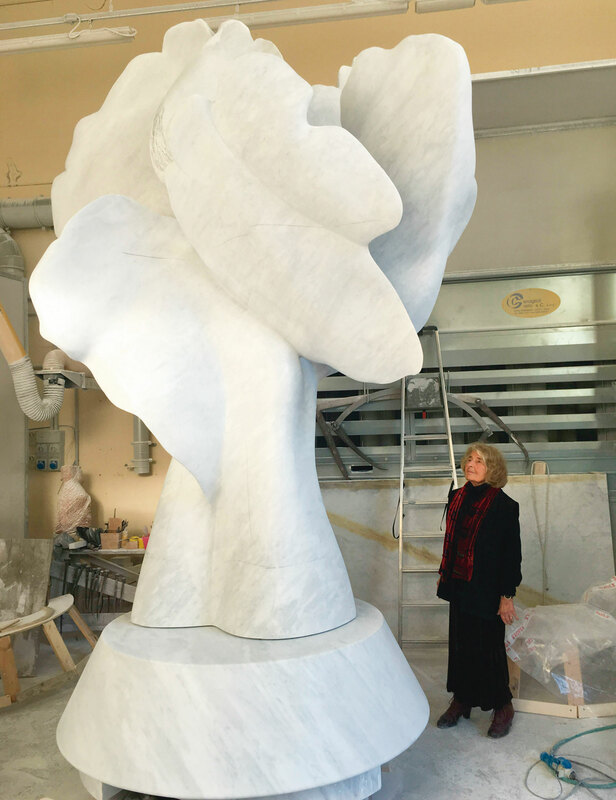 I wanted to explain to a wider audience how my mother’s work has evolved and to chart the evolution of one monumental piece from clay model, to 5 tonne marble sculpture. In 2013 I produced The Man Who Shot Beautiful Women, for BBC4, about my grandfather, the photographer Erwin Blumenfeld, who despite being a difficult man was also conveniently dead (the film has aired internationally and will soon air on Rai2 in Italy.) Producing a film about my mother seemed like another important way for me to honour my artistic legacy. For me, producing Hard Beauty, which is directed by my friend, the acclaimed director Rupert Edwards, was also a healing and cathartic process. My brother, Jared and I interviewed each other about how rich and complex it was having Helaine or Elena, as our mum. And we laughed a lot together. Of course it wasn’t easy, but it certainly prepared us in a certain way for life.